Counting Piece for Larry: for improviser and algorithm is for a solo improviser (any instrument(s)) with algorithmic accompaniment. The instrumentation and means of realizing the algorithmic score are unspecified, and are left to the discretion of the performer(s). It was written as a birthday present for composer Larry Polansky. 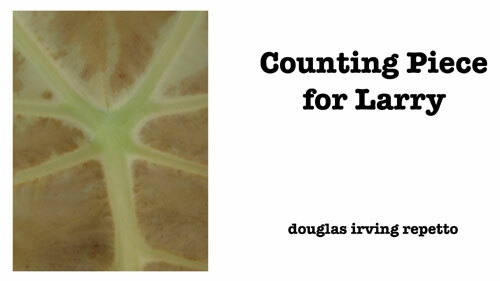 Counting Piece for Larry is published by Frog Peak Music. It was premiered by The Downtown Ensemble during their Spring 2003 season.